A black and white negative of Helen Maguire sitting outside on cement stairs. 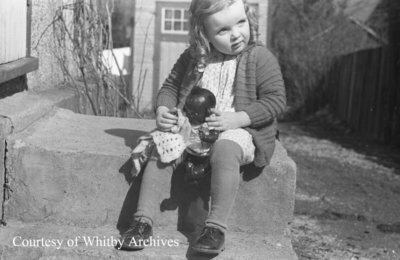 In this view she is holding a doll and looking to the right of the photographer. Helen Maguire, March 22, 1938, Marjorie Ruddy. Whitby Archives A2013_040_638D.